Woodfuel is extremely versatile, existing in a variety of forms compatible with different combustion technologies and end users, ranging from small scale domestic heating to district heating schemes and large-scale combined heat and power generation schemes. Logs are often regarded as an inefficient, inconvenient and dirty fuel compared with the convenience of mains utilities. However, automated, highly efficient log burning stoves have been developed with a magazine that can be filled with logs. The entire magazine is burnt within a few hours, but the heat is stored in an accumulator, which in summer mode, can provide up to 14 days of hot water supply. Whilst log fires rarely exceed 15% efficiency, wood-burning stoves can reach 70-80%. Logs are straightforward to produce. At a very small scale fuel can be gathered by hand and processed using hand tools. More usually chainsaws and agricultural tractors, or Land Rovers, and trailers are used. 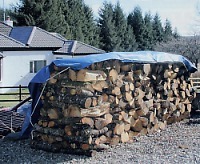 For the woodfuel contractor there is a range of firewood processors powered by tractor PTO/hydraulics. These range from simple log splitters to machines that will saw lengths into logs, split them and load them into a trailer. Much of the current log market is dependent on suppliers working on a casual basis with minimal equipment. Quality is very variable, often poor, and fuel is often overpriced as a result of inefficient production methods. Also, potential customers frequently have difficulty in locating supplies. Despite these problems, well targeted support measures, focused on raising log quality, increasing mechanisation and improving customer service could yield rapid gains in this sector. 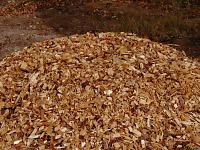 Woodchips are utilized at an extremely wide range of scales from the individual household to large district heating and CHP schemes. They are generally produced from poor quality final crop timber, thinnings, harvesting residues and arboricultural arisings. Equipment for producing wood chips is available at a range of operational scales. Roundwood is harvested using conventional techniques and then chipped in small hand fed, tractor mounted or self powered chippers, or large hammer mills. The biggest limitations on chip use are variations in quality. The most important of these are inconsistencies in size and moisture content. Variations in size are often cured by correct matching of raw material and chipping technology. Moisture content has a direct effect on the available calorific value in woodfuel as part of the heat released during combustion is lost as latent heat during evaporation of the moisture. Pellets are usually made by compressing the sawdust and small shreds of wood produced from industrial manufacturing waste rather than from round wood or harvest residues. They are about 8 mm in diameter and look like animal feed. They are well suited to small scale auger fed systems because they are clean, dry (8-10% moisture content), easy to store, and easy to use in automated systems due to their consistent size. Pellets also have greater bulk density than other wood fuels and reduce transport costs through reducing load size. Yolanda May is a 47-year-old senior programmer who enjoys baking, recycling and checking news stories against Snopes. 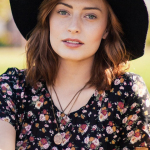 She is intelligent and caring, but can also be very cowardly and a bit untidy.